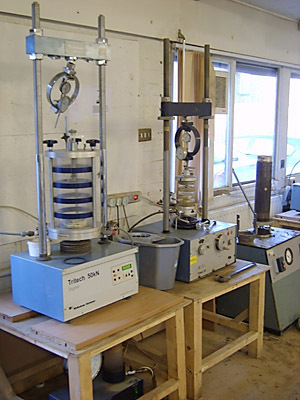 Dunelm have their own in-house geotechnical laboratory facility allowing a quick turnaround for test results. The laboratory is equipped with a range of equipment to carry out the following tests specified to BS1377:1990 “Methods of Tests for Soils for Engineering Purposes”. We also undertake rock testing and chemical testing through accredited laboratories.